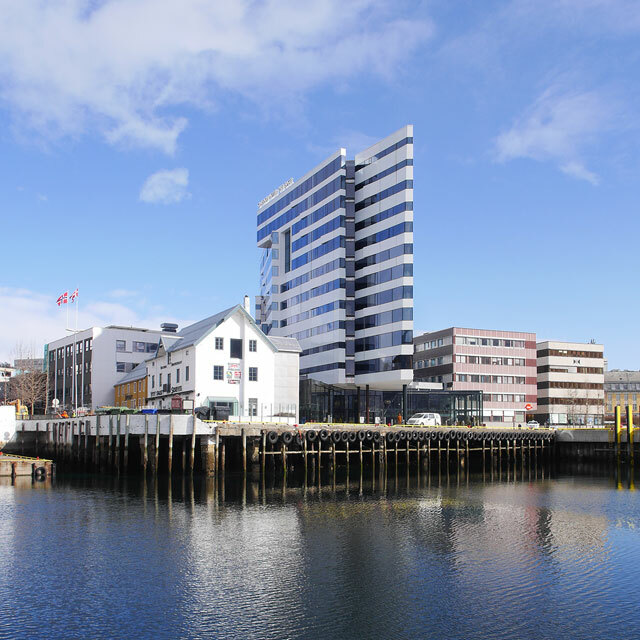 At the waterfront in Tromso opened the conference and business hotel The Edge with 13 floors, 287 hotel rooms and meeting rooms for up to 1000 people. The general design of The Edge has been developed by Niels Torp; the Norwegian architects won in 2010 the invited competition. 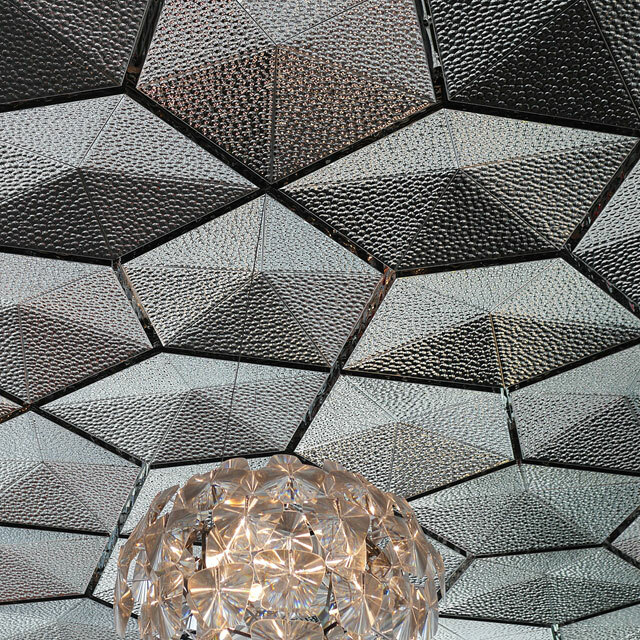 Schmidt Hammer Lassen were responsible for the interior; the Danish architecture office selected for the ceiling of the hotel lobby and the restaurant product line EXYD-G.
EXYD produced around four hundred ready-to-install pyramid shaped panels with pentagonal silhouettes (Cairo Pentagonal Tiling). 50 percent were perforated using a nonlinear whole pattern. Installation was carried out by F-Eiendom. General contractor was HENT. 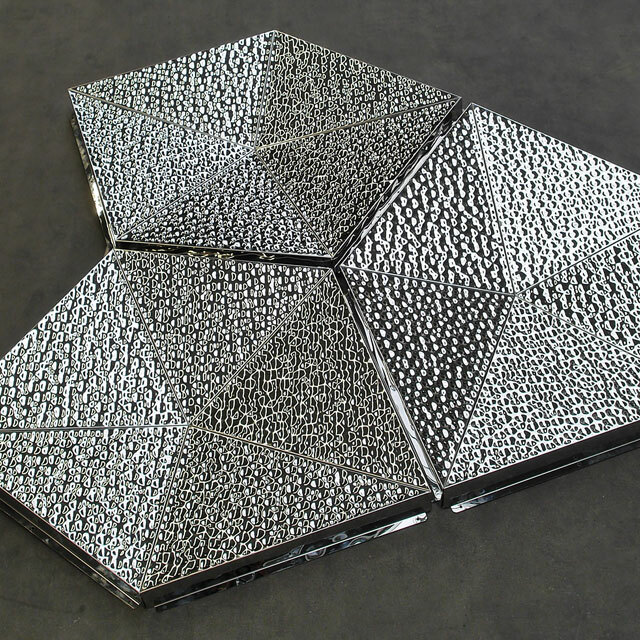 Above: Prototypes of the pentagonal 3D-shaped panels. Below: Front edge of hotel. 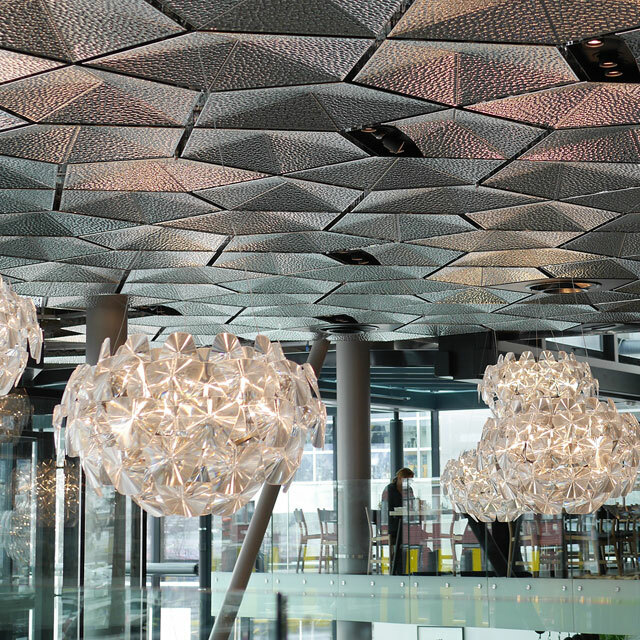 Schmidt Hammer Lassen Architects stated: "… the restaurant and the lobby have a spectacular ceiling in a triangular pattern. The ceiling is designed in polished stainless steel, which reflects the light and creates a shimmering atmosphere indoors, underlining the whole experience of being close to nature."